Newly declassified documents reveal new information about the CIA’s Project Azorian, a plan hatched to secretly salvage a Soviet nuclear submarine. In 1974, the CIA commissioned Howard Hughes to construct a massive vessel to recover a Soviet submarine that sank in the Pacific Ocean in 1968. Some 200 pages on Project Azorian, one of the most complex, expensive, and secretive intelligence operations of the Cold War, reveal previously unknown details of the aborted plan. 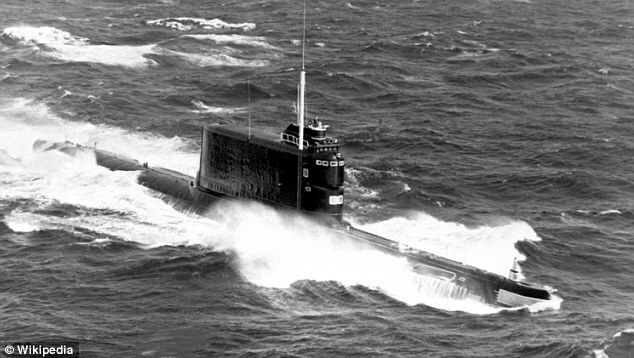 According to io9.com, the submarine was important to the U.S. because it would enable officials to examine the design of Soviet nuclear warheads and decipher Soviet naval codes. The Soviets tried for two months to recover the sub, but the attempts were fruitless. Hughes’s vessel, the Hughes Glomar Explorer, embarked on a salvage mission in 1974 which was somewhat successful. A planned follow-up mission in 1975 was aborted after the top-secret plan was leaked to the press. Afterwards, the CIA refused to comment on Project Azorian, neither confirming nor denying involvement with Hughes’s vessel. In the recently published Foreign Relations of the United States volume, National Security Policy: 1973-1976, new details emerge of the plan to covertly steal the sub. 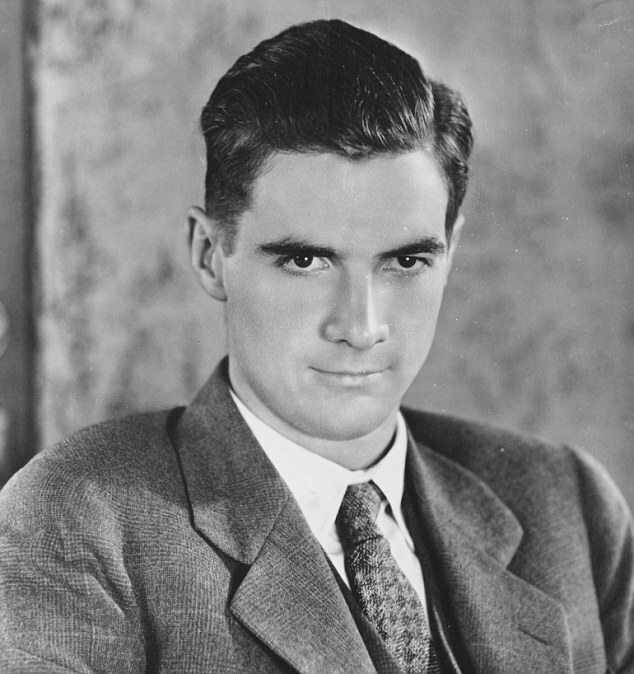 According to the documents, a team of engineers designed the 618-foot, 36,000-ton recovery vessel and commissioned Howard Hughes’s company the Summa Corporation to build it. In order to thwart any suspicions that could be raised by the sight of the gigantic recovery vessel, the CIA invented a story that the Hughes Glomar Explorer (HGE) was being built for a private business venture of Hughes’s – mining manganese nodules from the ocean floor. 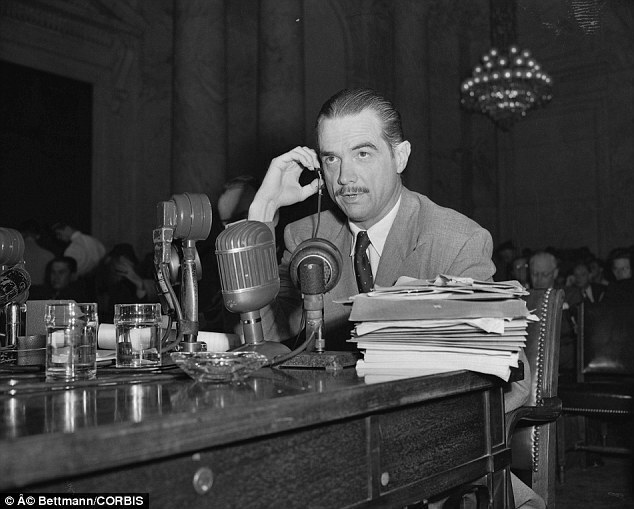 The determination reached was that deep ocean mining would be particularly suitable… Mr. Howard Hughes… is recognized as a pioneering entrepreneur with a wide variety of business interests; he has the necessary financial resources; he habitually operates in secrecy; and, his personal eccentricities are such that news media reporting and speculation about his activities frequently range from the truth to utter fiction,’ reads a memo from Secretary of State Henry Kissinger in 1974. As the $800 million project continued, officials began to raise questions about whether retrieving the submarine was worth the resources being plowed into it, six years after it sank. Ultimately, a committee decide that the benefits to be gained from examining the submarine were worth the expense. In addition, the director of the CIA was concerned that canceling the project now would make the government seem ‘capricious’ to contractors. In addition, any personal effects belonging to the dead crew members from the Soviet submarine would be kept to eventually returned to their families as a way to placate the Soviets if they discovered the theft of the vessel. ‘Culminating six years of effort, the AZORIAN Project is ready to attempt to recover a Soviet ballistic missile submarine from 16,500 feet of water in the Pacific. ‘The recovery ship would depart the west coast 15 June and arrive at the target site 29 June. Recovery operations will take 21–42 days (30 June to 20 July–10 August),’ reads a memo from Kissinger. The project was given a 40 per cent change of success – apparently an optimistic estimate for ventures of the risk and difficulty that Project Azorian posed. The first salvage mission in 1974 was only partially successful after a portion of the submarine fell back into the water as it was being hauled up by the capture vessel. During this time, President Nixon had resigned and officials were unsure whether the project could remain secret for much longer. Kissinger spoke about his concerns to President Gerald Ford. ‘There are so many people who have to be briefed on covert operations, it is bound to leak. There is no one with guts left. All of yesterday they were making a record to protect themselves about AZORIAN. It was a discouraging meeting. I wonder if we shouldn’t get the leadership in and discuss it. Maybe there should be a Joint Committee,’ he said. ‘I have always fought that, but maybe we have to. It would have to be a tight group, not a big broad one,’ Ford responded. ‘I am really worried. We are paralyzed,’ said Kissinger. In fact, the press was already onto the story, with a New York Times journalist Seymour Hersh, twice being asked by the CIA to delay publication of the story. In the end, it wasn’t the Times that broke the story, it was a gaffe by the CIA itself. In 1974, Summa Corporation was broken into, and thieves stole four boxes of documents – and a memo about Project Azorian’s true progenitors was missing. Soon after, LA police were contacted by a person claiming to be acting on behalf of a person in possession of the documents who wanted $500,00 for their safe return. Trying to deduce whether the thief did indeed have the missing memo, the CIA informed the FBI about it. The FBI passed on the information to police, who asked the intermediary whether the thief was in possession of it. After that, it was a free for all and Hersh published his story – as did several other major newspapers, with the Washington Post and the New York Times making it their front page. Contrary to fears of retaliation, the Soviets did not publicly respond to the reports, hoping to play down its own failure to retrieve the submarine. Eventually, Kissinger told Ford that the Soviets were stationed at the site of the submarine and would not allow a second salvage mission without a fight. The total cost of the ultimately failed mission was $800 million – which, reports io9.com, translates to about $3 billion. 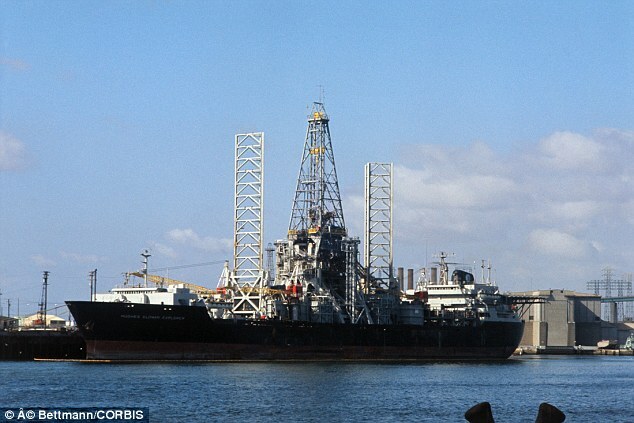 The Hughes Glomar Explorer was eventually repurposed to be a deep-sea driller, as per the CIA’s original fictitious story and last sold to a private company for $15 million in 2010.